RAIS Q-Tee II is a smaller stove with a very large (non-catalytic) combustion chamber – which makes it a perfect efficient heat source for places with limited space. 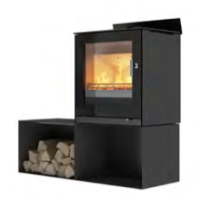 The large firebox also makes it easier to source firewood, since the stove can burn logs up to 17″ in length. 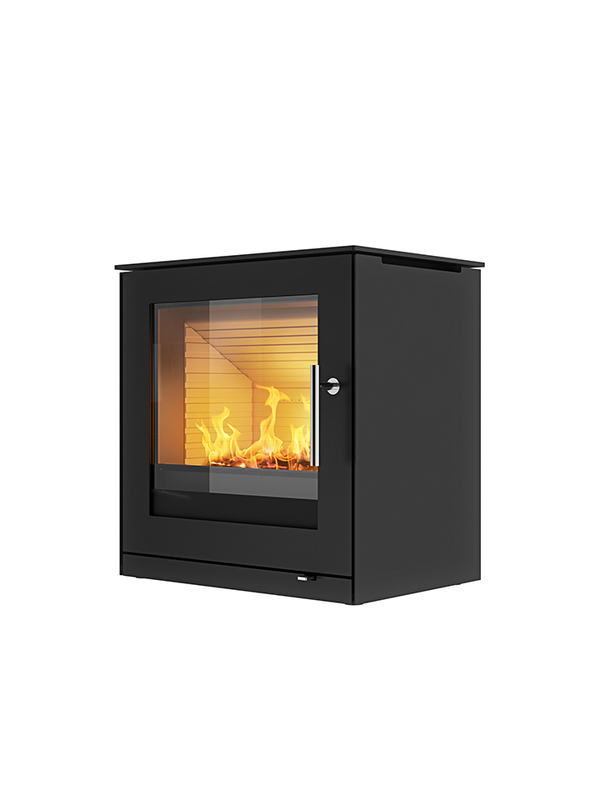 The stove is also suitable for coal-firing, since the combustion chamber is reinforced and has extra air supply. The Q-Tee II has exceptionally low emissions of 0.9 g/hr and exceeds the strictest of new environmental standards, including cities such as Fairbanks, Alaska, that have the most extreme emissions requirements to control air pollution. 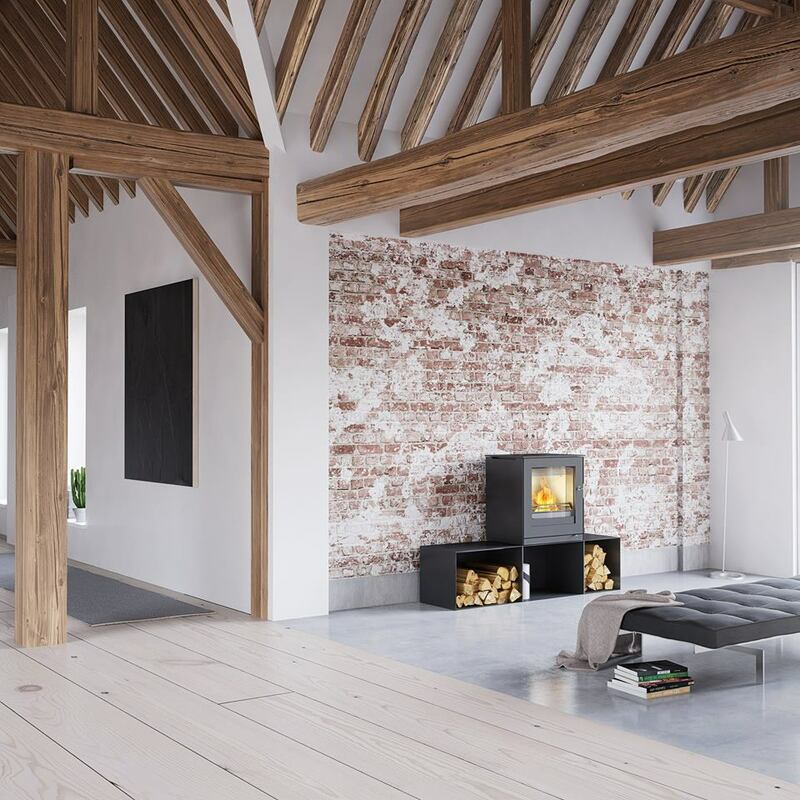 If you purchase the stove without a base, you can use it as a wood fireplace insert. 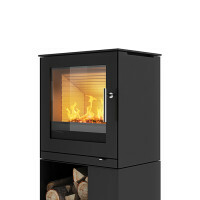 With a base, it turns into a freestanding stove. The large window offers a magnificent view of the flames. The handle is a unique feature – a masterpiece, created by the best craftsmen. Good environmental data. The firewood rack on the side breaks the symmetry and is a great effect. Available with or without base. 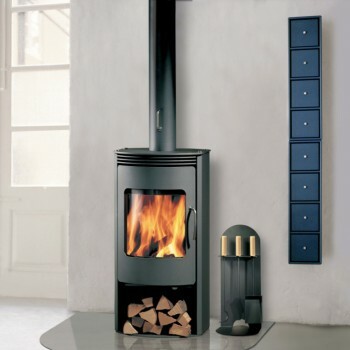 Can be installed inside a fireplace, or with base in a room. Add more bench boxes for storage and extra warm seating. 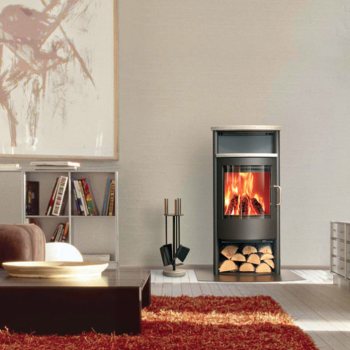 All Rais stoves are convection stoves, which means that the sides of the stove never get too hot. Convection works by pulling cold air into the system at the base of the stove and up through the convection duct that is located along the combustion chamber of the stove. The heated air is released from the top of the stove, creating rapid air circulation in the room. Rais stoves are equipped with air-cooled handles, a Rais specialty, which means that the handle of the stove can be handled without a glove, no matter how hot the stove is. Please note that one must always be very careful when touching any other part of the stove while it is still hot. Top outlet or rear outlet. Steel-frame door with glass window standard. Optional glass-framed door for an additional $300. Optional base to turn into a standing stove ($450 extra). Optional large bench ($395 extra). Optional small bench ($325 extra). Optional outside air kit ($195 extra).